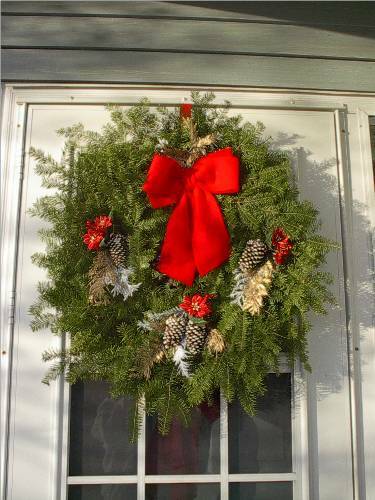 Christmas Decorations from Minnesota, delivered to your door! 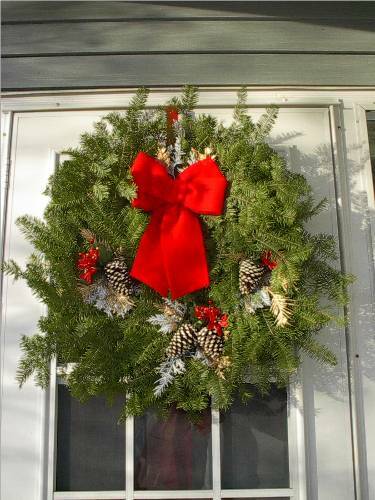 Until recently, Northup Farms only offered Wreaths wholesale to selected buyers in huge quantities. 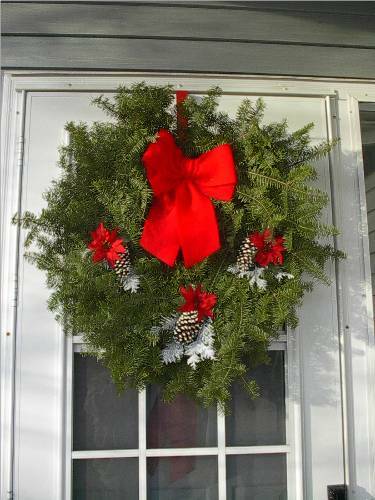 But now anyone in the continental United States can have one of these beautiful hand-made 22" or 26" wreaths, or an 8 foot Garland made fresh from clippings off our farm. 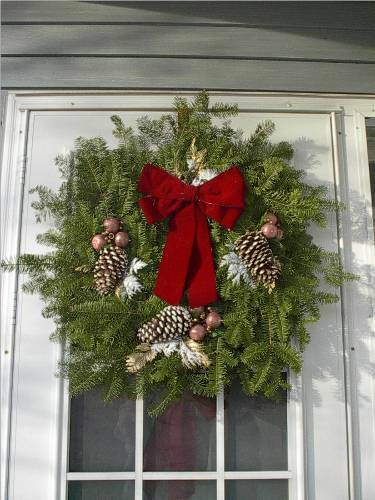 We use fragrant Balsam and Cedar branches, a Bright Red or Maroon Bow, Ponderosa or Lodgepole Pine cones, and various other highlights and ornaments to make our Wreaths and Garlands. Pictured are only three samples of Wreath. 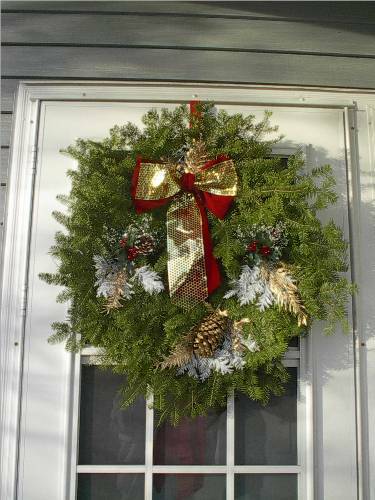 We make many designs, including Crosses, Candy Canes, Hearts and Door Swags. Now you may have one delivered right to your door by UPS. We'll lovingly pack your Wreath or Garland in a protective box and ship it off to you in the first week of December so it'll arrive in plenty of time for your family to enjoy. Best of all, shipping is included! 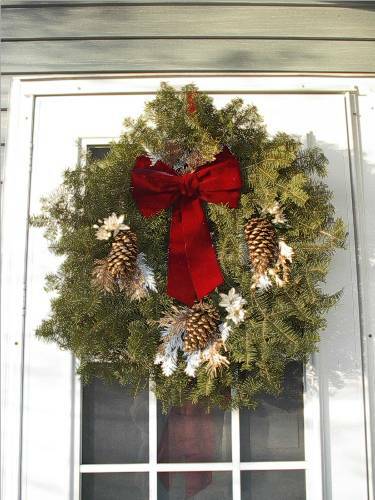 Sorry, It has become to expensive to ship these wreaths, and I am no longer honoring this offer. We make it simple to Print off an Online Order Form or Order by phone.